Posted: Monday, June 1, 2015. 10:01 pm CST. Monday, June 1st, 2015. 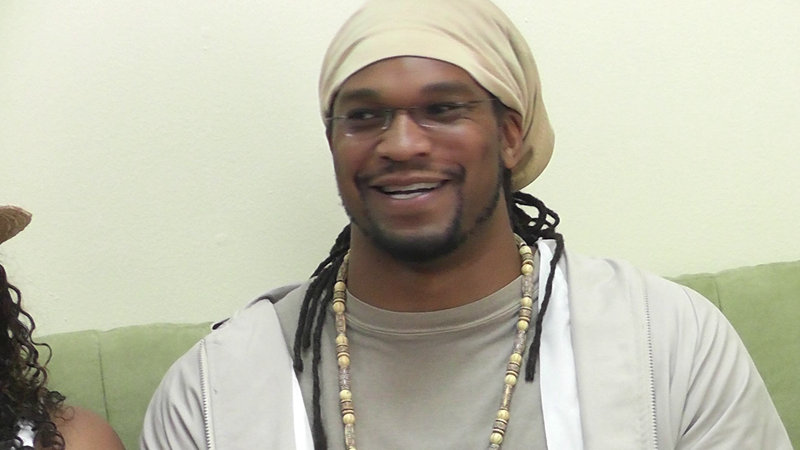 Aaron Humes Reporting: Former NBA basketball star and born-again Christian Etan Thomas is on a visit to Belize to speak to youths. Thomas played 11 seasons for the Washington Wizards, Oklahoma City Thunder and Atlanta Hawks before embarking on a career of public speaking and poetry writing. Thomas says he is looking forward to giving a unique perspective on life to his captive audience. We spoke to him at the International Airport today. Thomas, who grew up in New York and Oklahoma and played at Syracuse University, wants to tell his story in hopes that it will reach youths who struggle with not knowing what is next for them in life and who may find hope in his rise to the pinnacle of the sporting world from humble beginnings. Thomas is being hosted by RESTORE Belize and the Belize Tourism Board and will hold his sessions at the Bliss Center for the Performing Arts later this week. Thomas, accompanied by his wife Nicole, has family from Grenada and St. Croix in the U.S. Virgin Islands.